According to a study by the UK’s Newcastle University, 65% of students in Patna study in private schools, as against the national average of 20%. 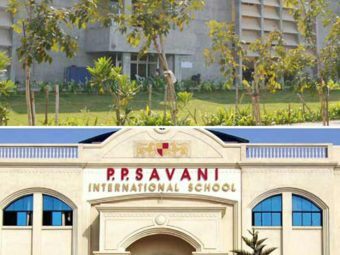 The study found that the private schools, most of which are not recognized by the government, are revolutionizing affordable education in the capital city of Bihar. 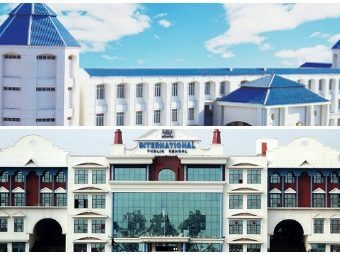 Here, MomJunction brings you a list of top and best Patna schools that are known to impart quality education. St. Michael’s High School is a higher secondary Catholic school founded in the year 1858 by the alumni and members of the Society of Jesus, a group of men dedicated to God’s service. It’s one of the oldest missionary schools in eastern India. St. Michael’s High School is affiliated to the CBSE and has classes I to XII. It prepares the students for the All India Secondary School Examination and All India Senior School Certificate Examination at the end of class X and class XII boards respectively. The school maintains a good teacher-student ratio to facilitate better learning. It promotes extra-curricular activities such as singing, dancing, debates and sports. The school has spacious classrooms, state-of-art science, computer and language laboratories and a library with a vast collection of books, journals, and magazines. For sports, the school has a cricket pitch, basketball courts, squash courts, three soccer fields, table tennis court and a swimming pool. D.A.V. Public School, located in Khagaul, is a co-educational school affiliated to the CBSE. It belongs to the Dayanand Anglo-Vedic Schools, also known as D.A.V Public School Systems, one of the largest, non-governmental education societies in India. D.A.V. Public School provides education from kindergarten to class XII and follows the CBSE curriculum. The curriculum also includes the ideals of the social and religious reformer Swami Dayanand Saraswati. It teaches Hindi and Sanskrit as the second and third languages. The school promotes extra-curricular activities. D.A.V. Public School has well-lit and spacious classrooms, a multipurpose hall, a library, and science laboratories and a playground. The library houses books from all sections, including literary and reference. The fully air-conditioned computer lab is divided into three sections. The computer lab for the plus two has qualified trainers and is equipped with high-tech software. The other two sections are for middle and junior students. Don Bosco Academy is a co-educational, English medium school affiliated with Council for the Indian School Certificate Examinations (CISCE), New Delhi. 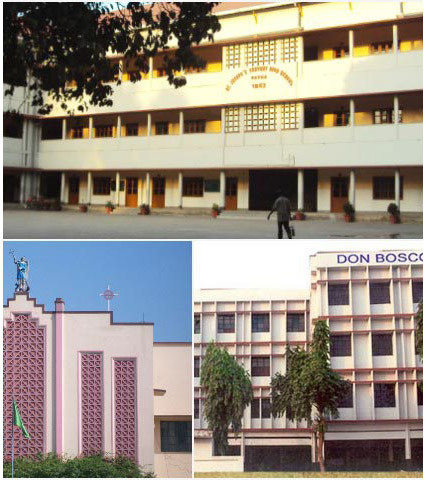 The school is managed by the Don Bosco Anglo-Indian Education Society. It is also recognized as a minority institution by the National Commission for Minority Educational Institutions. Affiliated with the ICSE board, Don Bosco Academy offers education from class VI to XII. The school encourages students to develop their interests in language, music, tourism, and yoga. Don Bosco Academy promotes sports like cricket, volleyball, table tennis, throw ball, karate, and yoga. The two-acre campus of this school has 30 spacious and well-equipped smart classes, three computer laboratories with high-speed internet, science laboratories, and a spacious playground. The library of the school has 5,500 books on various subjects. 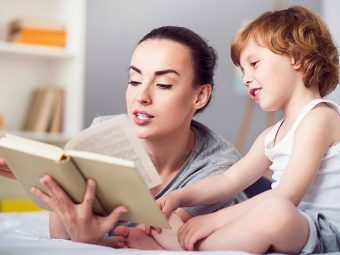 Children can subscribe to several magazines, newspaper, and journals. Founded in the year 1988, Jawahar Navodaya Vidyalaya is a co-educational, English medium school affiliated to the CBSE. It’s an autonomous organization under the Ministry of Human Resource Development. It aims to provide quality education to talented children. Jawahar Navodaya Vidyalaya has classes from VI to XII and follows the CBSE curriculum. The school encourages children to engage in games, sports, yoga and other co-curricular activities for their all-round development. Jawahar Navodaya Vidyalaya provides uniform, textbooks, stationary and boarding free of cost. The computer room has high-speed internet to facilitate faster learning. The school has separate hostels for boys and girls. Delhi Public School, Patna was established in 1998 as a joint venture of the Delhi Public Schools and Takshila Educational Society. It is recognized as one of the top schools in Bihar. Delhi Public School is affiliated to the CBSE and offers classes from nursery to XII. It fosters the overall development of students by imparting education through practical exercises. The school organizes several workshops and training sessions for teachers to improve their aptitude and skill. 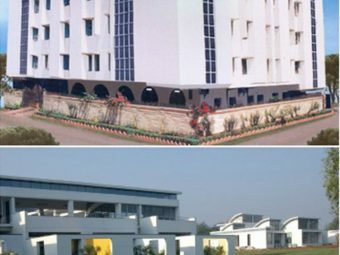 Delhi Pubic School, Patna, has two campuses: the junior wing, which holds classes from nursery to V and senior wing from VI to XII. The school has well-maintained lawns, garden, ventilated classrooms, laboratories, an outdoor theater, and a courtyard for games. The highlight of the campus is the waste recycling and water harvesting plant that produces paper from waste. Notre Dame Academy is an all-day girl’s school affiliated to the CBSE. The school is managed by the Notre Dame Sisters Society, Patna and is associated with the Roman Catholic Archdiocese. While Notre Dame is a CBSE school, its academic program is based on the educational heritage of the Sisters of Norte Dame. At the pre-primary level, the school follows the Montessori method of education. The school promotes a host of extra-curricular activities such music, dance, quizzes, and elocution. Students participate in the Society for Promotion of Indian Classical Music And Culture Amongst Youth. The campus facilities include an auditorium, spacious and well-equipped classrooms. The library is the highlight of the school. It is stocked with over 28,000 books. There’s also a huge field to practice sports and games. St. Joseph’s Convent High School is an all-day school affiliated with the CISCE board. Established in the year 1852, St. Joseph’s Convent High School is one of the oldest missionary schools in Bihar. The school is supervised by the Sisters of the Institute of the Blessed Virgin Mary. St. Joseph’s Convent High School follows the curriculum laid down by the Inter-State Board for classes I to VIII. They follow the ICSE syllabus from classes IX to XII. The curriculum subjects include math, history, commerce, geography and history. The senior students can select between arts, science and commerce streams. The classrooms are spacious, airy and well-ventilated. The school has two separate computer labs for the junior and senior sections, a canteen, a library and science labs. For sports, they have basketball and volleyball courts. Loyola High School is a co-educational school affiliated to the CBSE. It was established in 1969 by a Christian religious minority institution administered by the Society of Montfort Brothers of St. Gabriel. Loyola High School follows the CBSE curriculum and prepares the students for All India Secondary School Examination and the All India Senior School Certificate Examination at the end of class X and XII, respectively. The school promotes extracurricular activities through debates, quizzes, drama, dance and music. It encourages sports such as basketball, football, and cricket. The school has a computerized library with a variety of books. The multipurpose hall of the school serves as both an auditorium and an indoor sports area. There are facilities for outdoor sports such as basketball, football, and cricket. Situated in the new bypass, the 30-year-old Acharya Shri Sudarshan Patna Central School was founded by Acharya Shri Sudarshan. 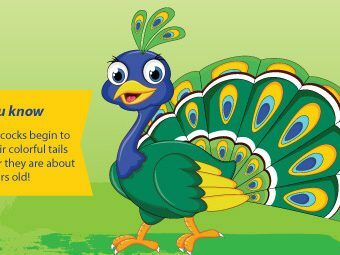 It is a co-educational school affiliated to the CBSE. The school aims to tutor the innate talent of the students and nurture them for a better future. The school follows the guidelines and norms laid down by the CBSE. The school conducts special classes for students preparing for IIT-JEE and NEET examination. “Sudarshan Times,” a special edition of the monthly newsletter, is published by the pupils under the supervision of teachers. Acharya Shri Sudarshan Patna Central School is divided into academic, administrative, hostel and Montessori blocks. All the classrooms are airy, spacious, well-equipped. There are separate smart classrooms as well. The school has a well-stocked library, with over 15,000 books, and a separate audio-visual and CD room. Founded in 1965, St. Karen’s High School is a co-educational, English medium school affiliated to the CBSE. Donald Patrick Galstaun and Barbara Galstaun established it. The school offers classes from pre-primary to XII. The first language is English and the second language is Hindi. St. Karen’s High School has well-ventilated classrooms, multimedia rooms with an audio-visual library, a cafeteria and a play area for primary kids. The auditorium has a seating capacity of 800 people. So these are ten top schools in Patna. We’d suggest you to visit the school to get a better idea. If you have any query regarding the article, leave us a comment below!